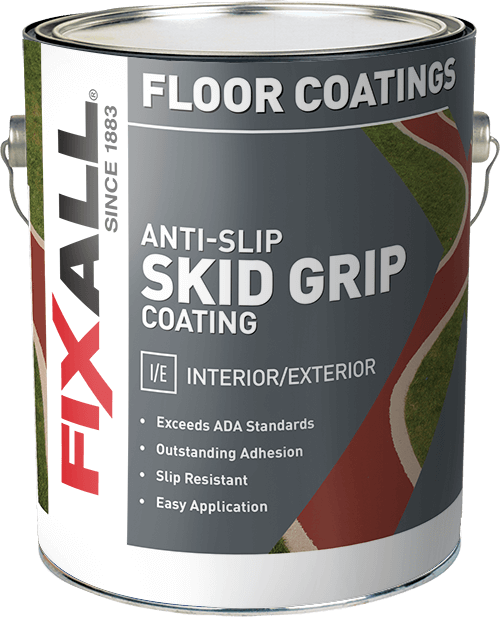 Skid Grip is an outstanding, 100% acrylic-textured coating for use over asphalt, concrete or other surfaces where an extremely durable, skid resistant finish is desired. Exceeds ADA standards for anti-slip surfaces. Patios, pool decks, tennis courts, basketball courts, driveways, steps, walkways, ramps. Areas where an anti-slip surface is required.